HostGator users, please see our notes at the end of this article regarding HostGator's server configuration. In v3.0.0 of X, we proudly presented a whole new set of elements to the X ecosystem: Extensions. The great thing about these Extensions is that they keep the theme free of additional bloat for features that not every user will necessarily find useful for their particular project. For users that do need a specific feature, it allows us to include that feature in the most efficient manner possible. Additionally, Extensions also allow us to take certain features to a new level (such as email integration), that wouldn't be as efficient or functional placing into the theme directly. For a brief overview of what each Extension entails, make sure to check out our Extension demos. ACF Pro – ACF Pro is one of the most powerful tools available for WordPress that both developers and non-developers are sure to love! Allowing you to create custom fields for any post type with a vast array of display options. ACF Pro is a third-party plugin by Elliot Condon. 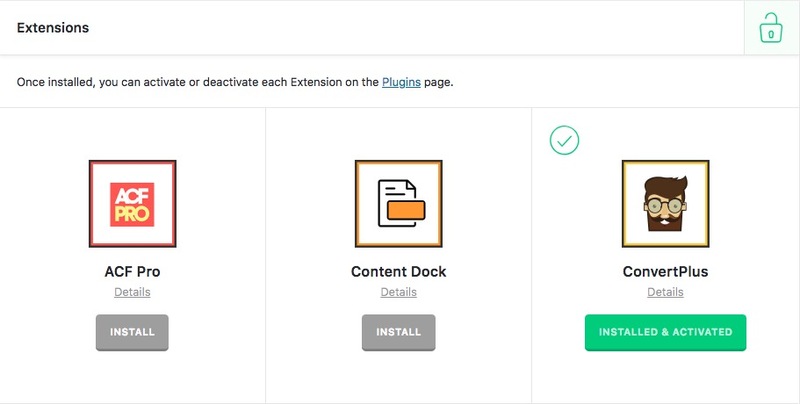 Content Dock – An incredibly simple and effective tool that allows you to place content or marketing offers in front of your users in an elegant, non-intrusive manner. Content Dock is a Themeco plugin. ConvertPlus – Transform your website into a lead generation powerhouse! Fuel engagement with your visitors, get more subscribers and increase conversion rates. ConvertPlus is a third-party plugin by Brainstorm Force. Cost Estimation & Payments Forms – This plugin allows you to create easily flat visual forms of PayPal payment/cost estimation. Cost Estimation & Payments is a third-party plugin by Charly (loopus). Custom 404 – Redirect all of your site's 404 errors to a custom page that you have complete control over. Easily create any layout you want using page templates, shortcodes, and more! Custom 404 is a Themeco plugin. Disqus Comments – Take advantage of powerful and unique features by integrating Disqus comments on your website instead of the standard WordPress commenting system. Disqus Comments is a Themeco plugin. 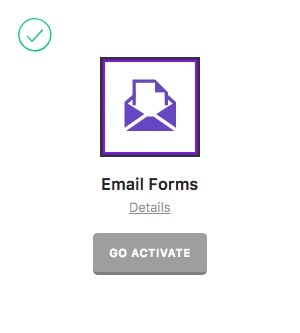 Email Forms (MailChimp) – Creating custom opt-in forms has never been this easy...or fun! 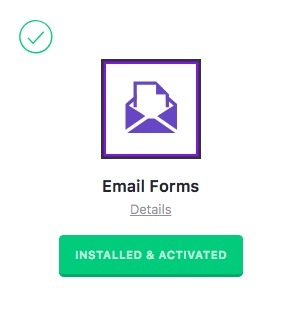 Carefully craft every detail of your forms using this plugin and subscribe users to a MailChimp email list. 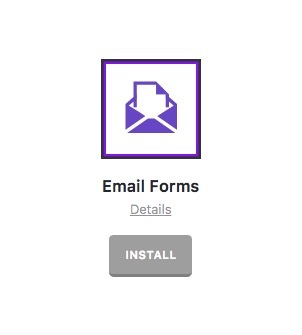 Email Forms (MailChimp) is a Themeco plugin. Envira Gallery – Envira Gallery is a fantastic responsive WordPress gallery plugin. Create beautiful photo and video galleries for your site in minutes. Envira Gallery is a third-party plugin by Griffin. Essential Grid – Essential Grid is an all-purpose grid building solution for WordPress that allows you to display various content formats in a highly customizable grid. Essential Grid is a third-party plugin by ThemePunch. Facebook Comments – Take advantage of powerful and unique features by integrating Facebook comments on your website instead of the standard WordPress commenting system. Facebook Comments is a Themeco plugin. Google Analytics – Simply drop in your Google Analytics code snippet, select where you'd like it to be output, and you're good to go! Google Analytics made easy. Google Analytics is a Themeco plugin. LayerSlider – LayerSlider is the most advanced responsive WordPress slider plugin with the famous Parallax Effect and over 200 2D and 3D transitions. LayerSlider is a third-party plugin by Kreatura Media. Modern Events Calendar – Modern Events Calendar is one of the most powerful event and ticketing solutions available for WordPress. This plugin allows you to create unlimited events, sell tickets and integrates with both PayPal and Stripe out the box. Modern Events Calendar is a third-party plugin by Webnus Team. Olark Integration – Sign up for an Olark account and experience the easiest way to boost your sales, help solve issues, and understand your customers with live chat. Olark Integration is a Themeco plugin. Slider Revolution – Create responsive sliders with must-see-effects, all while maintaining your search engine optimization. Slider Revolution is a third-party plugin by ThemePunch. Smooth Scroll – Enabling smooth scrolling on your website allows you to manage the physics of your scrollbar! This fun effect is great if you happen to have a lot of users who utilize a mouse wheel. Smooth Scroll is a Themeco plugin. Snippet – Snippet makes it easy to use Schema and Rich Snippets on your site. Help customers find you easily by adding your company details. Snippet is a Themeco plugin. Soliloquy – Soliloquy is a responsive WordPress slider plugin that makes building sliders in WordPress a task that you will want to experience over and over again. Soliloquy is a third-party plugin by Griffin. Superfly – Superfly brings modern and slick navigation to all WordPress users! Superfly generates vertical push/sliding/static navigation, icon toolbars, or fullscreen menus of your choice. Superfly is a third-party plugin by Looks Awesome. The Grid – The Grid allows you to show off any post types in a fully customizable and responsive grid system. It is perfectly suited for displaying your blog, portfolio, e-commerce or any kind of Wordpress post types. The Grid is a third-party plugin by Theme-One. Typekit – Create beautiful designs by incorporating Typekit fonts into your website. Our custom Extension makes this premium service easy to setup and use. Typekit is a Themeco plugin. It is recommended that you use the Typekit settings of the Font Manager instead of this plugin. UberMenu – UberMenu is a user-friendly, highly customizable, responsive Mega Menu WordPress plugin. UberMenu is a third-party plugin by Chris Mavricos, SevenSpark. Under Construction – Got a little work that needs to be done under the hood? The Under Construction plugin is the easiest maintenance plugin you'll ever setup and the last one you'll ever need. Under Construction is a Themeco plugin. Video Lock – You've never seen a video marketing tool quite like Video Lock. Place offers and a call to action in front of your users without any fuss. Video Lock is a Themeco plugin. Visual Composer – We recommend using Cornerstone for page building in X as it is built and managed by Themeco; however, Visual Composer is an alternate choice. Visual Composer is a third-party plugin by WPBakery. White Label – Customize the WordPress login screen, Add-ons home page, and much more. This is a great tool to use if handing X off to a client to provide them with tailored content right in the WordPress admin area. White Label is a Themeco plugin. All Themeco Extensions are managed via the X menu item within the WordPress admin menu for X and the Pro menu item within the WordPress admin menu for Pro. Third-party extensions are accessible using their own menu in the dashboard. If you scroll down further on that same page, you'll see the Extensions section where you can install extensions to use on your site. After installing an Extension, you'll see that it now shows a Go Activate button as well as a green checkmark showing that it is installed. 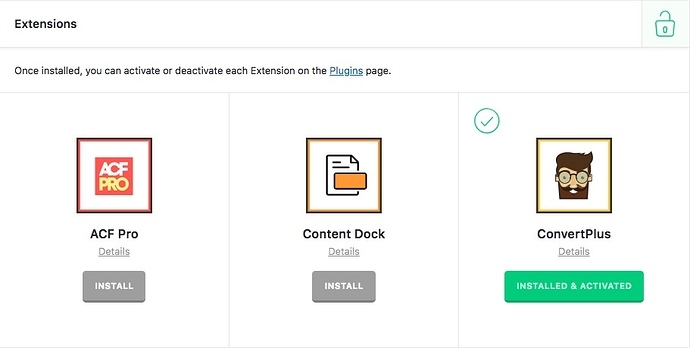 To activate the plugin, click Go Activate which will take you to the WordPress admin plugins page to activate the plugin. Additionally, all Extensions are included in the All files & documentation download from ThemeForest and can be installed and updated manually if desired however automatic updates will not work. It has come to our attention that some users who are with HostGator are having issues installing Extensions. It has been reported that they receive a 403 error page. We have looked into this and discovered it is a problem with HostGator's server configuration. They are blocking remote file downloads that originate from Amazon S3, which is where we host all of our products. X relies on the TGMPA library for our extensions system, and there have been reports from other users as well which you can see here. We're looking into any solutions, however, it is a configuration issue on their end. If you're experiencing this, you may wish to contact HostGator to see if they can lift the restriction for you and/or opt to install the plugins manually as outlined directly above, however, automatic updates will not work for situations like this since it is due to a server configuration with HostGator. Special thanks to community member himagarwal, who discovered this and shared it with us. 1. What is the Plugins with the X in Front and the Plugisn without a X infront? Where is the "addons" section in the dashboard? Lightbox Gallery Popups - Linked to Columns or Images? Start over with new stack?